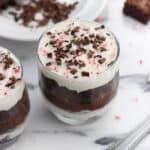 This mint chocolate brownie pudding trifle is a chocolate-heavy dessert that can easily be customized to your tastes. It features brownies and chocolate pudding, with a trick to make the whipped cream stay for days! How about one more holiday-ish dessert this year? 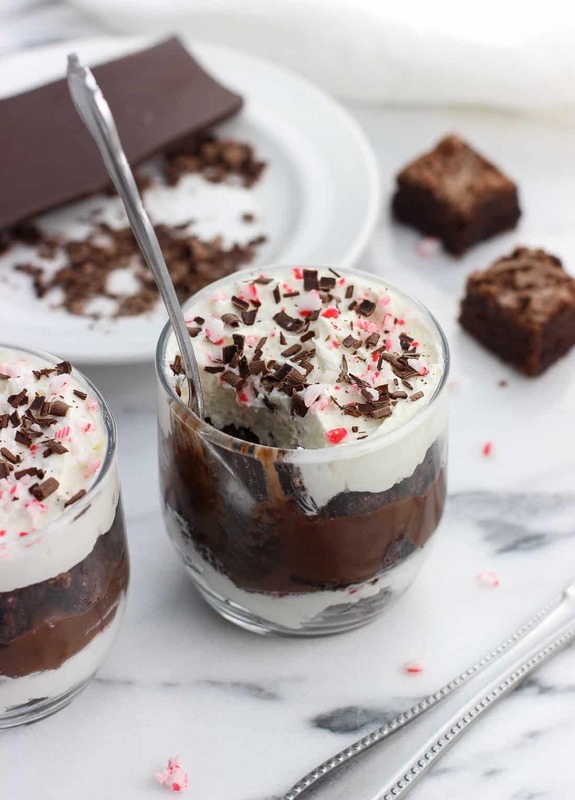 This mint chocolate brownie pudding trifle isn’t hard to assemble, features several different flavors, and can totally be customized and layered to just how you like it. 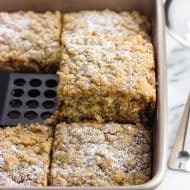 You can even use leftover baked goods and candies. That kind of recipe is welcome any time of year, but especially so with all of the holiday craziness going on, don’t you think? Just like with this salted caramel brownie trifle (with pretzels!) recipe, brownies take the place of cake for an ultra chocolate-y and chewy layer in this brownie pudding trifle. My go-to brownie recipe is much more on the fudgy side (versus cakey), but an easy shortcut here would be to use your favorite brownie mix, prepared according to package directions. To be honest unless I have leftover brownies on hand I usually will prepare a store-bought brownie mix for brownie trifles. It shaves some time off and blends in with all of the other flavors. Next comes the pudding, where again there are a few routes you can take. 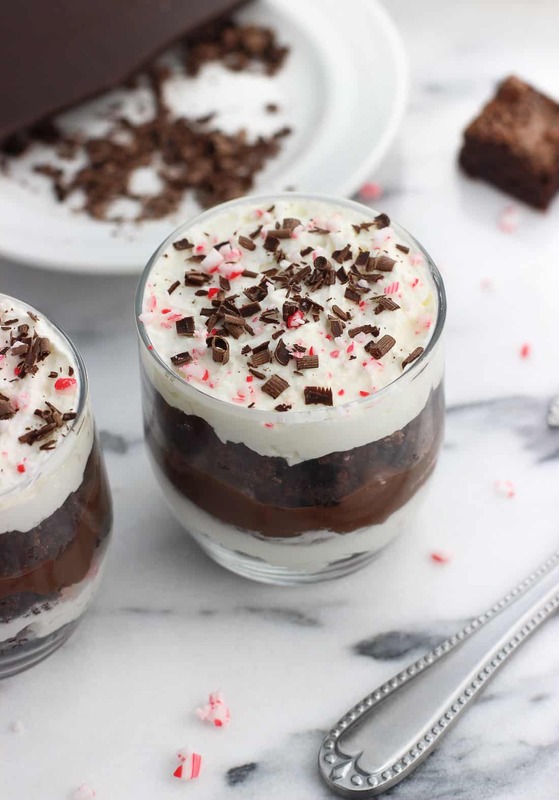 Instant chocolate pudding from a box works (no judgment here whatsoever), but for an extra special twist use this peppermint mocha pudding. 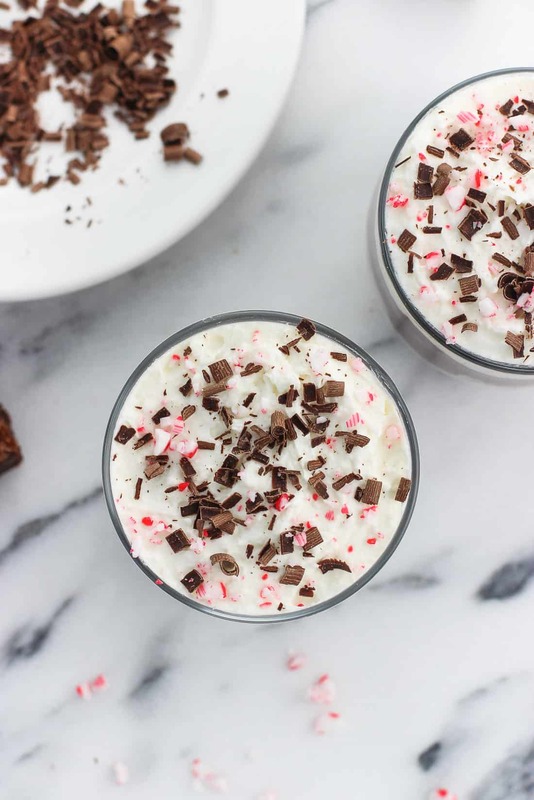 It’s smooth and creamy with just the right amount of peppermint flavor without being overwhelming. If you’re not into the mocha aspect of it (which comes from espresso powder), you can omit it for a just-as-delicious mint chocolate pudding. This pudding recipe also relies on cornstarch for a thickener, so there isn’t any hassle of wrangling and heating egg yolks. The last of the main layers is the whipped cream. 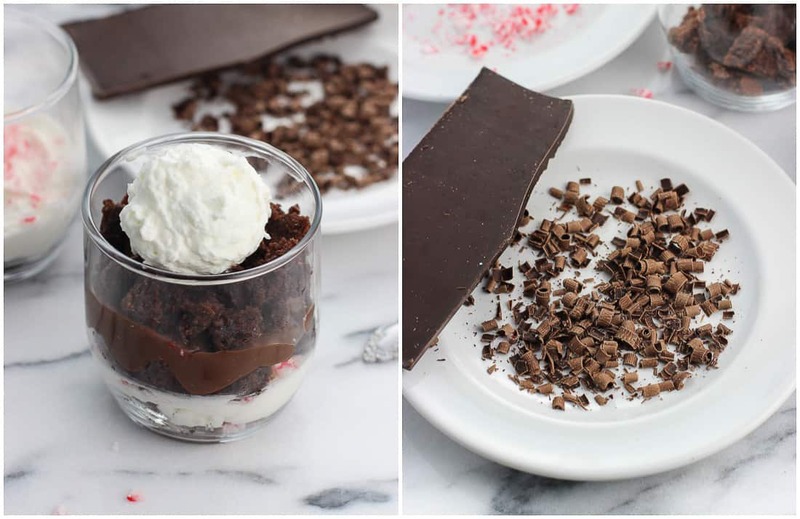 When I make larger scale desserts that incorporate whipped cream throughout it (like this chocolate toffee fudge trifle) versus desserts that are served with a dollop over top I like to stabilize it. While it takes a few extra steps, the small amount of liquified gelatin that gets drizzled in helps the whipped cream hold its shape and not get watery for days. Psst – frozen whipped topping is a shortcut that can be used instead if you like. Just thaw according to the package instructions and use right in the trifle. You can go wild with the festive decorations – sprinkles, cookies, you name it – but I tend to stick with simple. 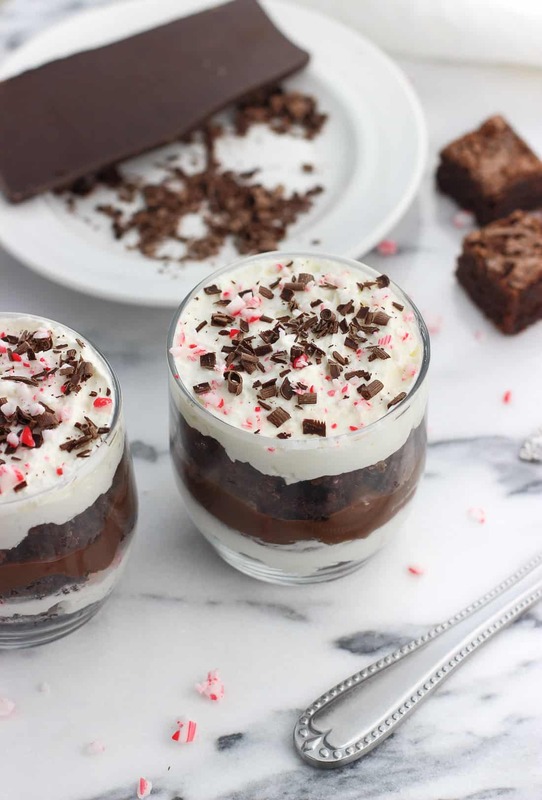 Chocolate curls made by running a vegetable peeler alongside the long end of a chocolate bar is always a favorite, as are crushed candy canes to make this mint chocolate brownie pudding trifle a fun seasonal treat. Depending on the size of the crowd, I’ve made trifles in one large serving dish or in smaller, individual glasses. It’s hard to estimate serving size for scoopable desserts, as it depends on how many brownies you use, how much pudding, etc. I’d say count on about one medium-sized brownie and two nicely-sized dollops each of pudding and whipped cream per person as a guide. Adjust as you see fit! Prepare your preferred brownie recipe and let cool. 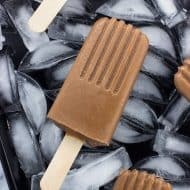 Once cool, slice into small cubes. Prepare the chocolate pudding and refrigerate until chilled completely. If using stabilized whipped cream, prepare that (see link to recipe in notes below) and keep cold. Start with a layer of brownies in the bottom of your serving dish. Then drizzle chocolate syrup over top, and then top with a layer of whipped cream. Scatter crushed candy cane pieces over the whipped cream. Next layer brownies, another drizzle of chocolate syrup, and the chocolate pudding. Repeat from the beginning of the assembly steps, ending on a layer of whipped cream. Garnish with chocolate curls and crushed candy canes. Nutritional information may vary significantly based on serving size. The nutritional info as shown here is estimated for one serving, which would consist of one brownie, 2 oz of prepared chocolate pudding, 3 tbsp of real whipped cream, 1 tbsp chocolate syrup, and a sprinkling each of chocolate curls and crushed candy canes. 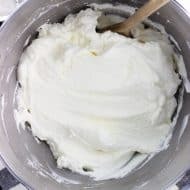 If you're interested in making stabilized whipped cream, check out this post for the instructions. 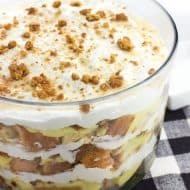 The preparation time for this brownie pudding trifle recipe will vary depending on what types of ingredients you use. One hour should cover making the brownies and preparing the pudding and whipped cream. The steps listed above are the order in which I layered this brownie pudding trifle, but by all means arrange the layers however you like.